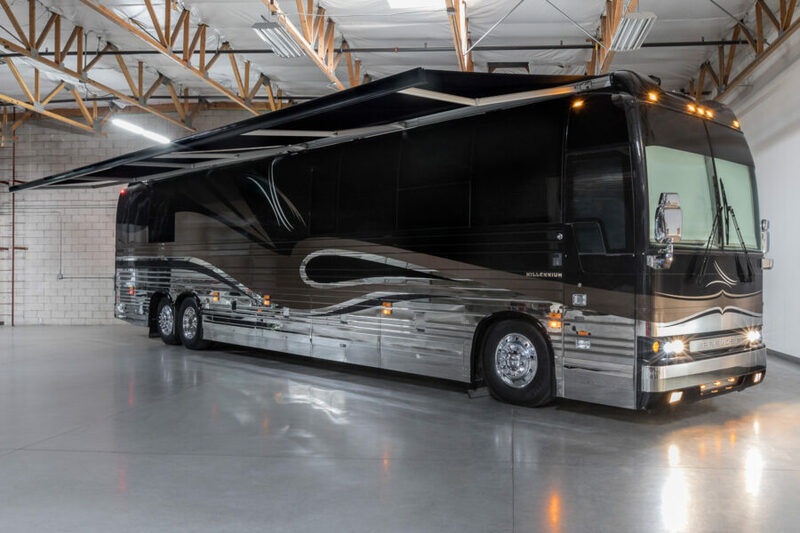 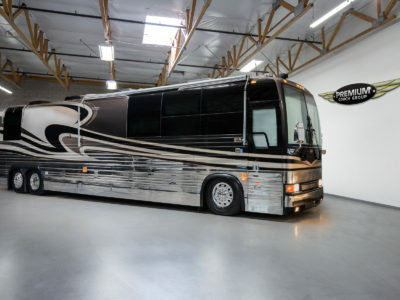 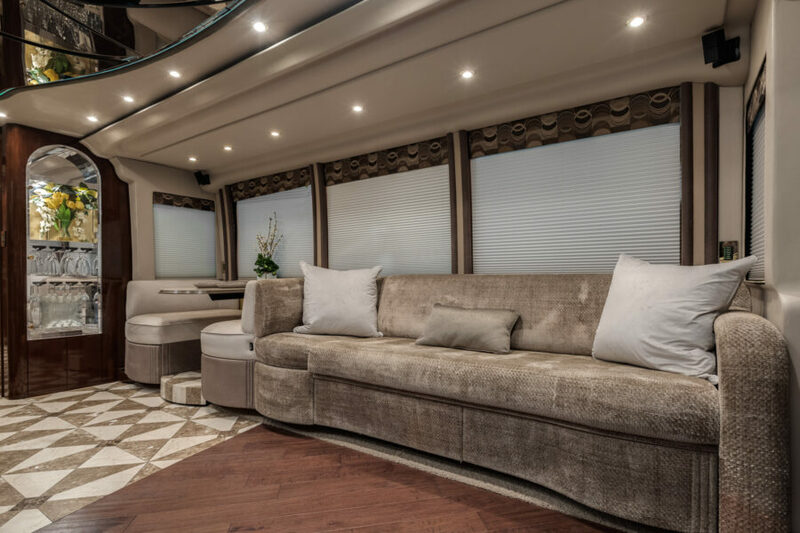 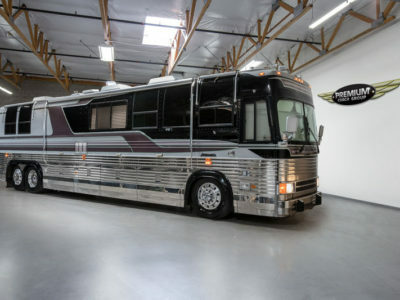 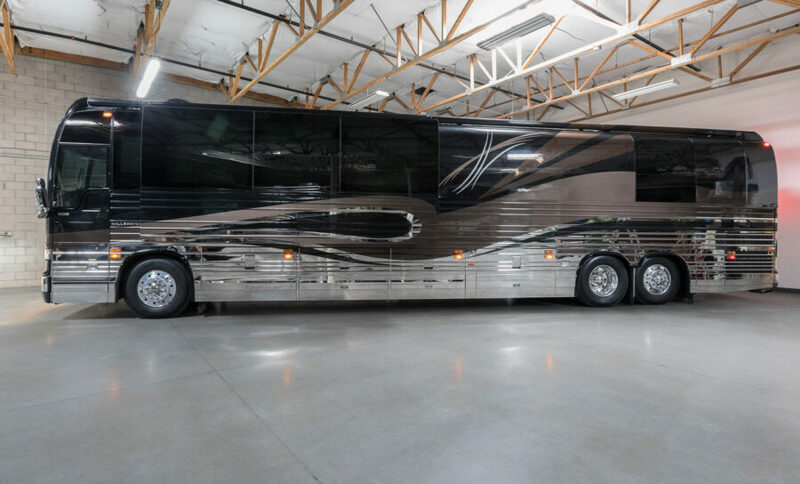 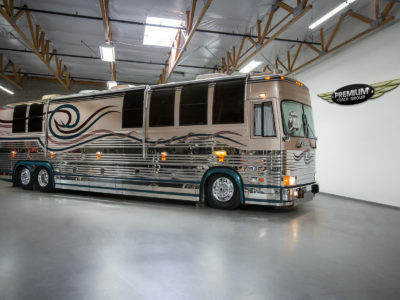 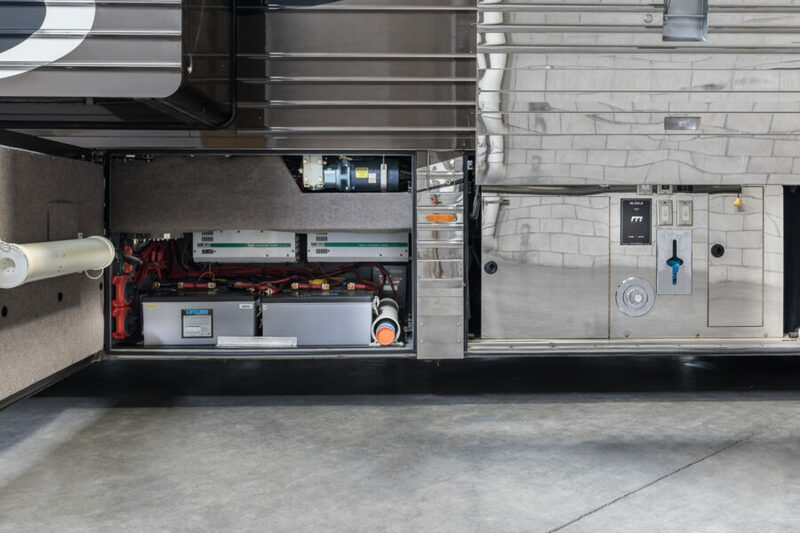 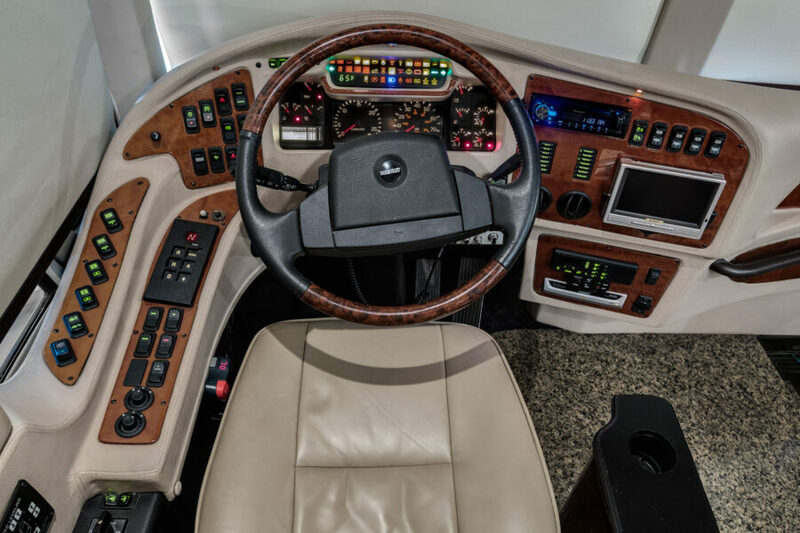 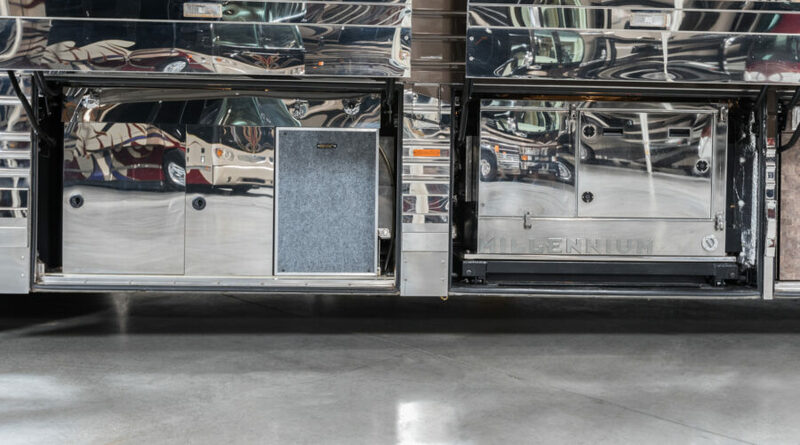 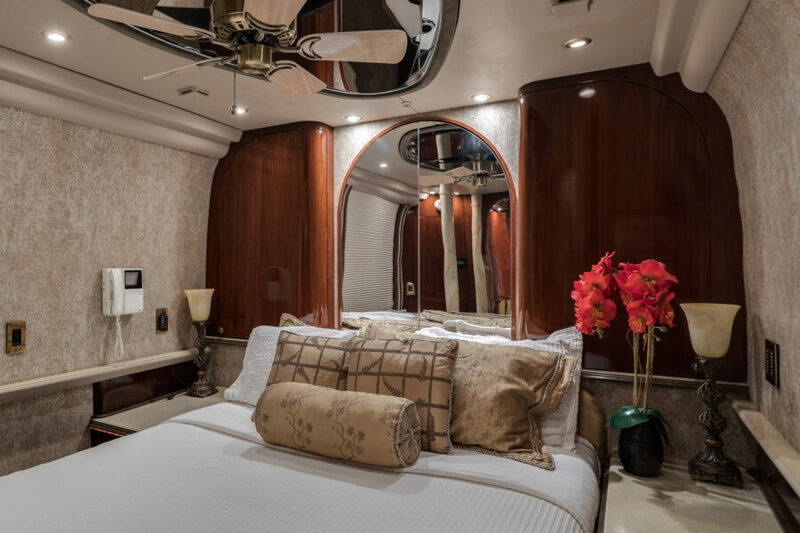 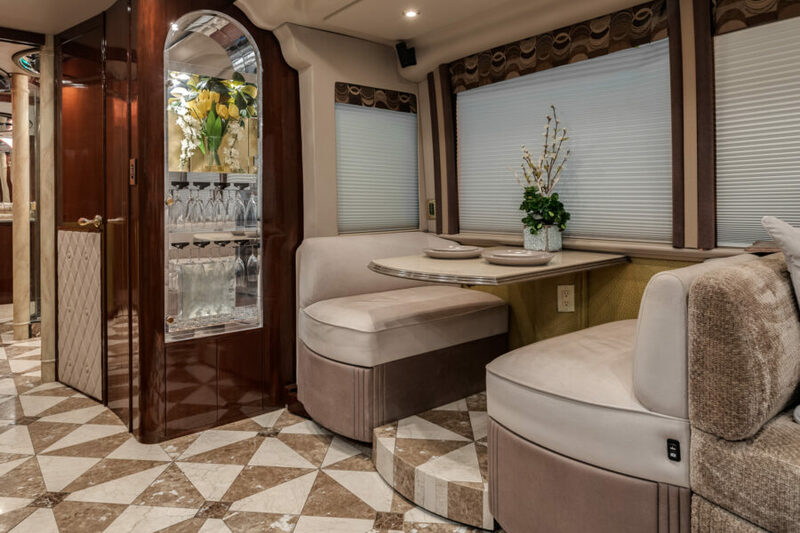 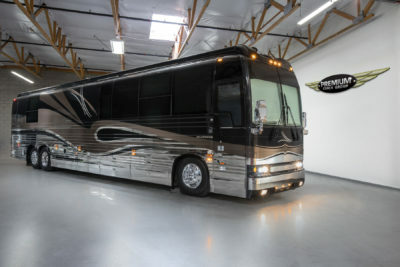 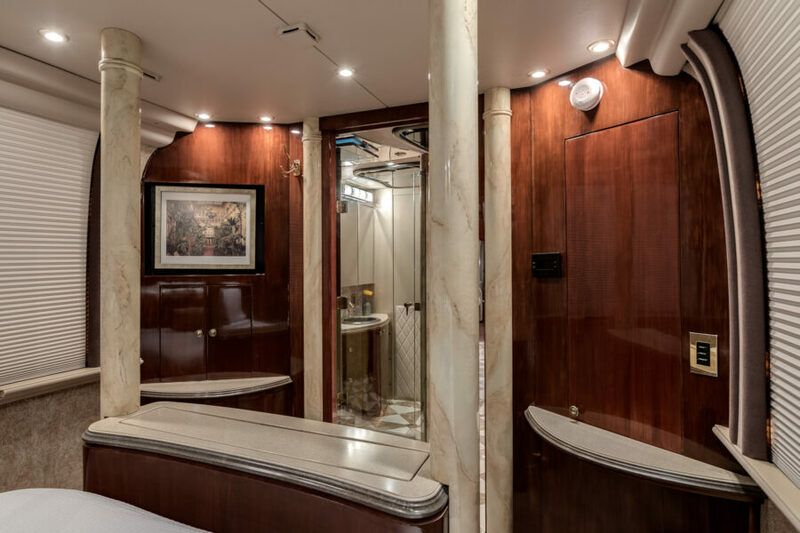 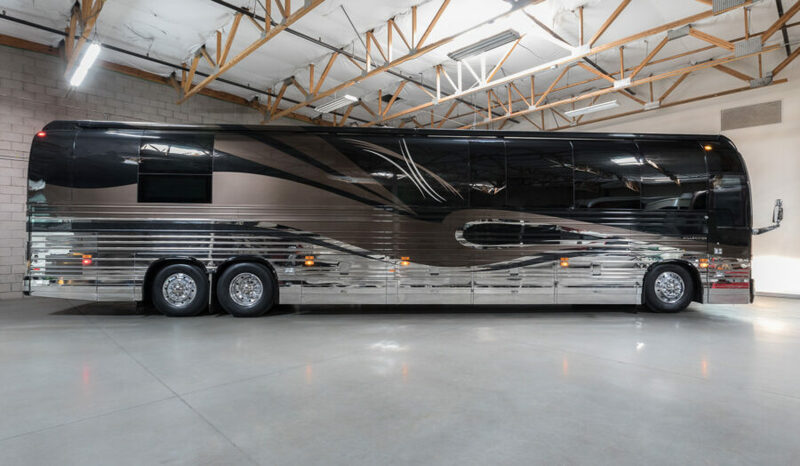 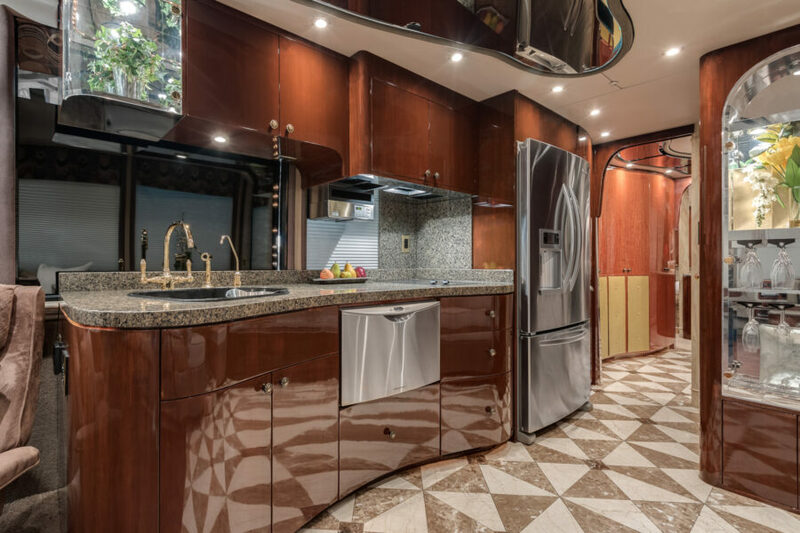 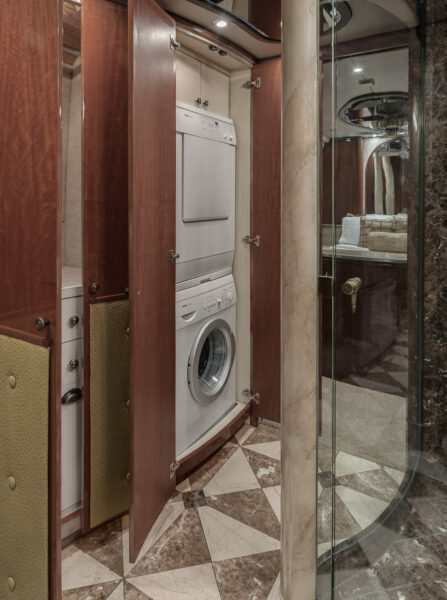 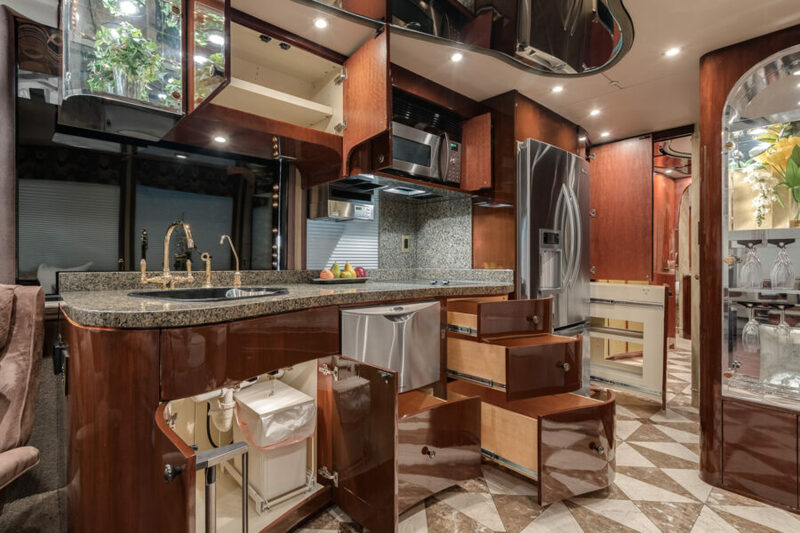 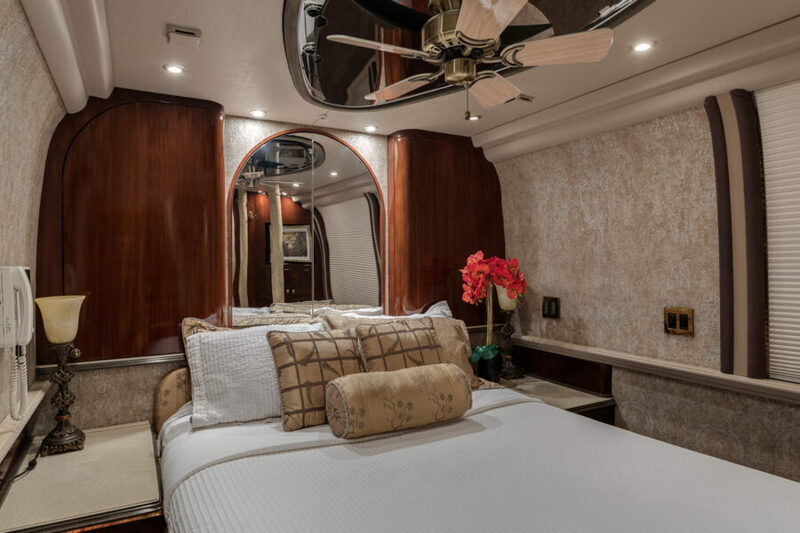 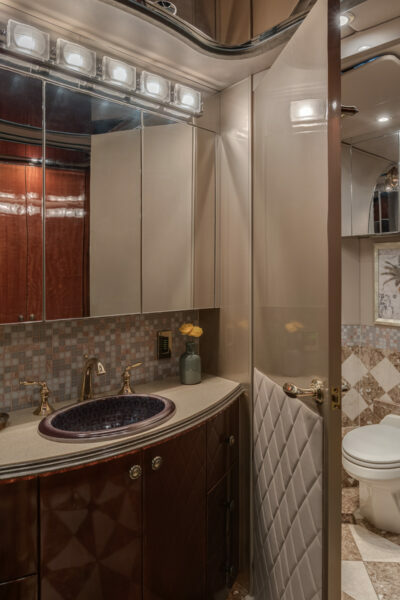 Travel in style in this stunning Prevost millennium XLII with slide! 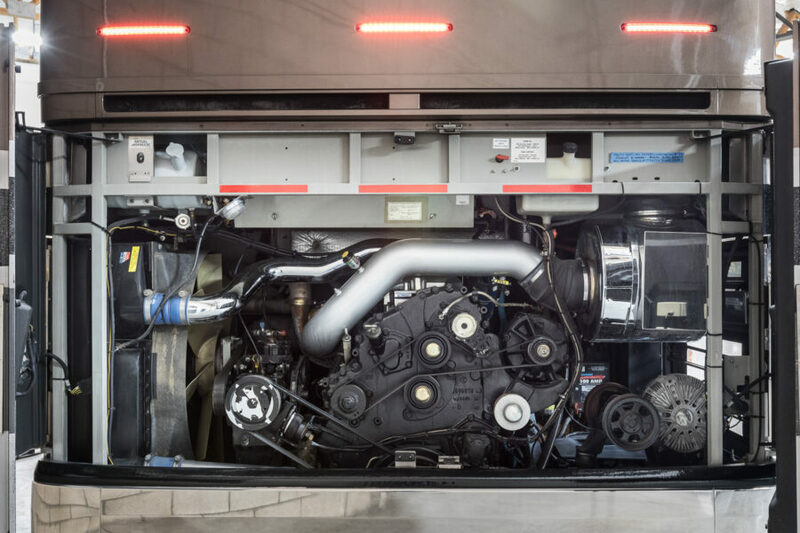 This coach has a look of a much later model conversion with its head turning paint scheme, integrated roof cap awning, and updated headlight package. 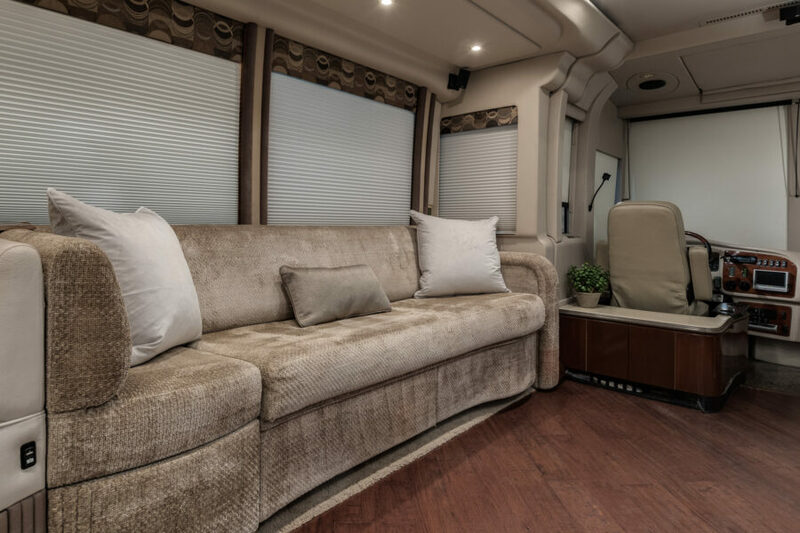 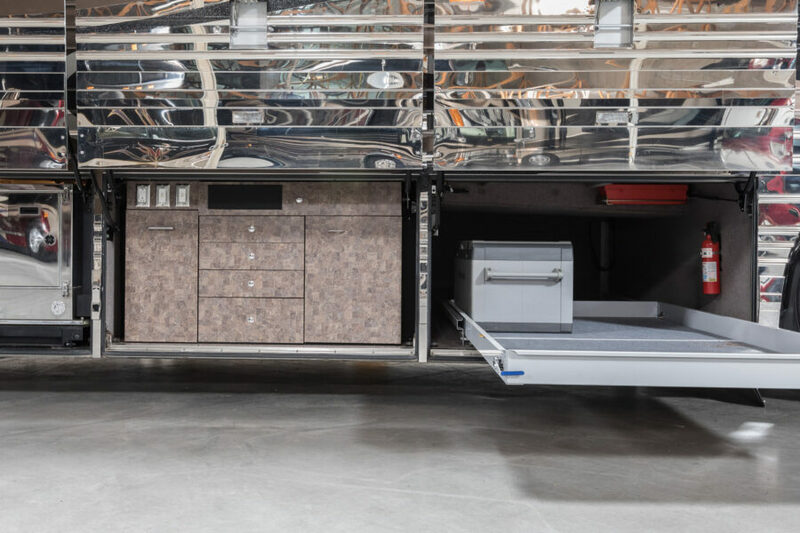 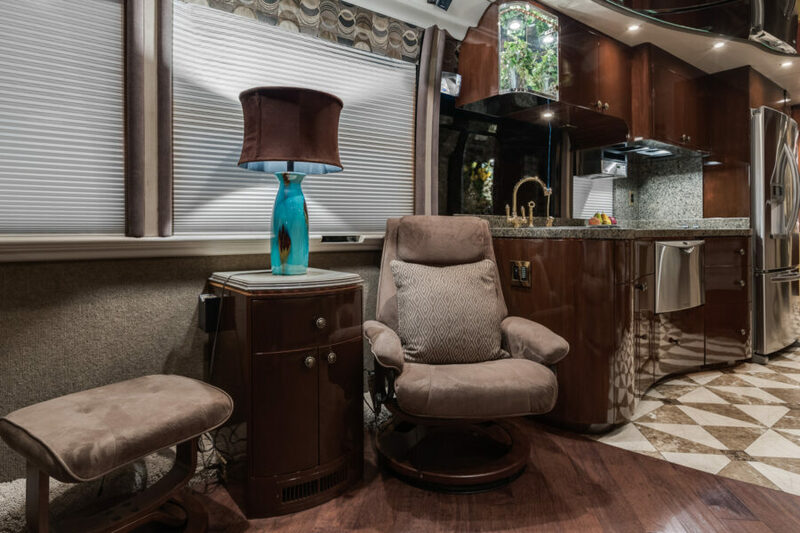 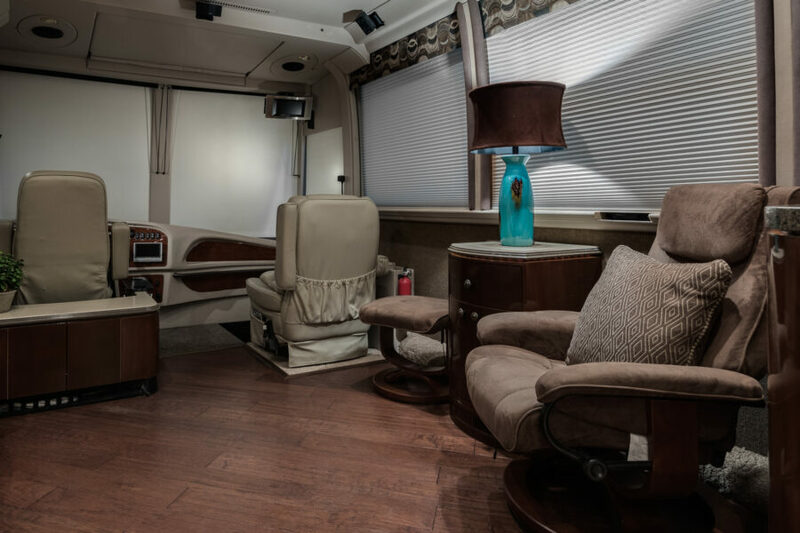 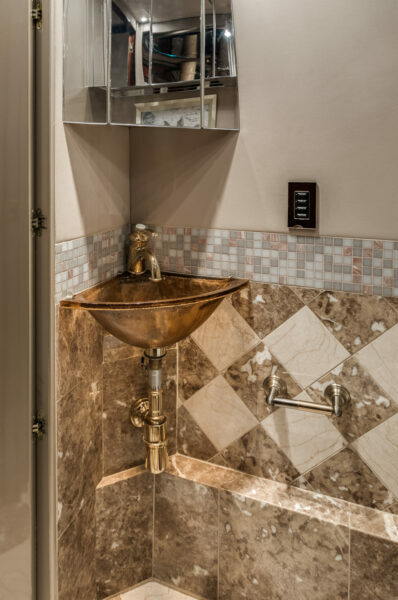 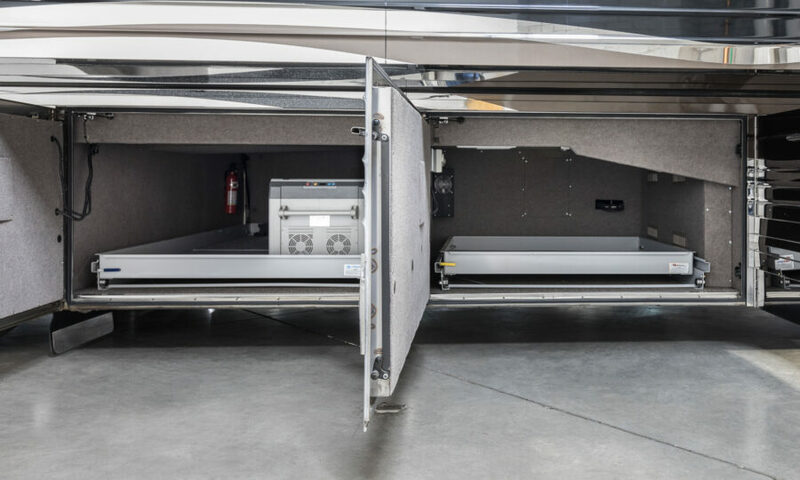 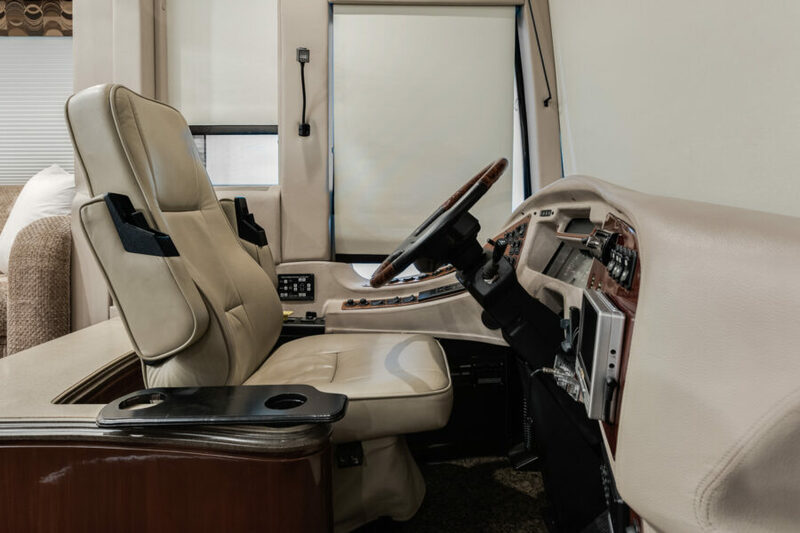 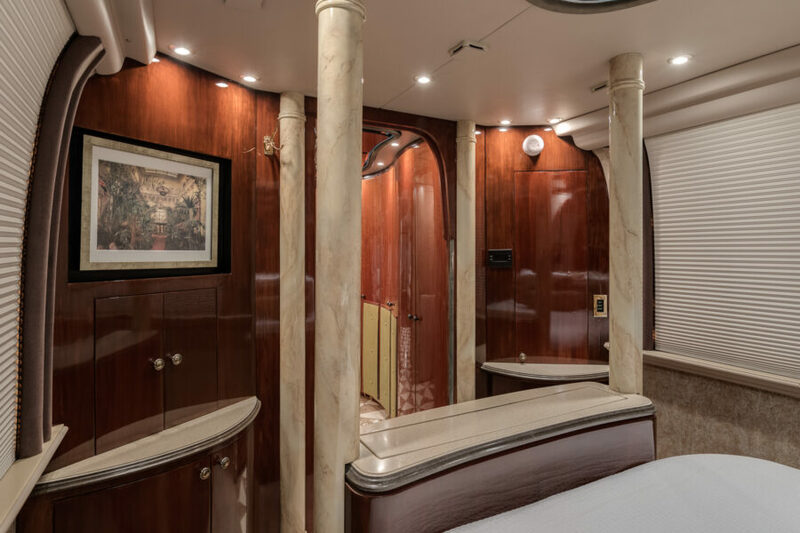 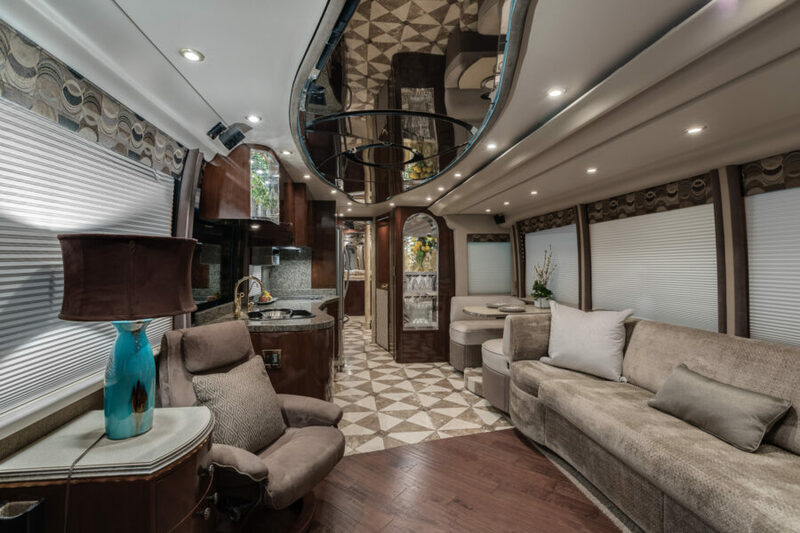 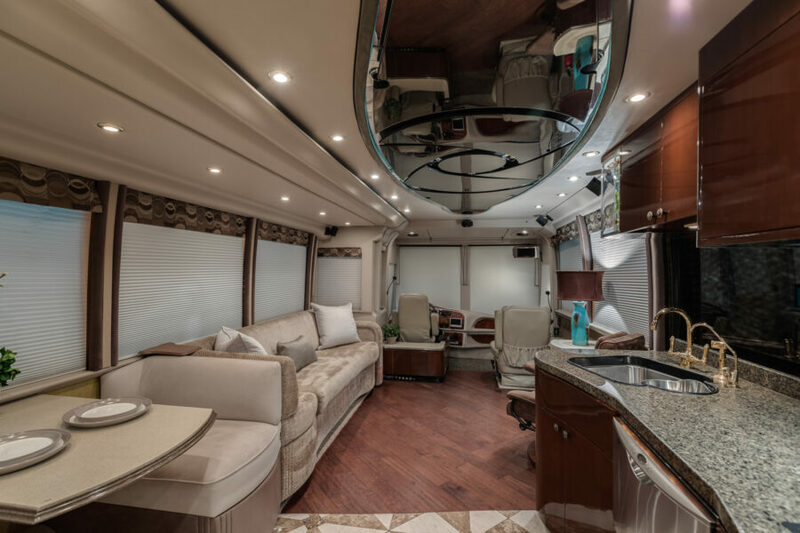 This coach offers a very elegant interior with lots of storage and the very popular north south bed floor plan.